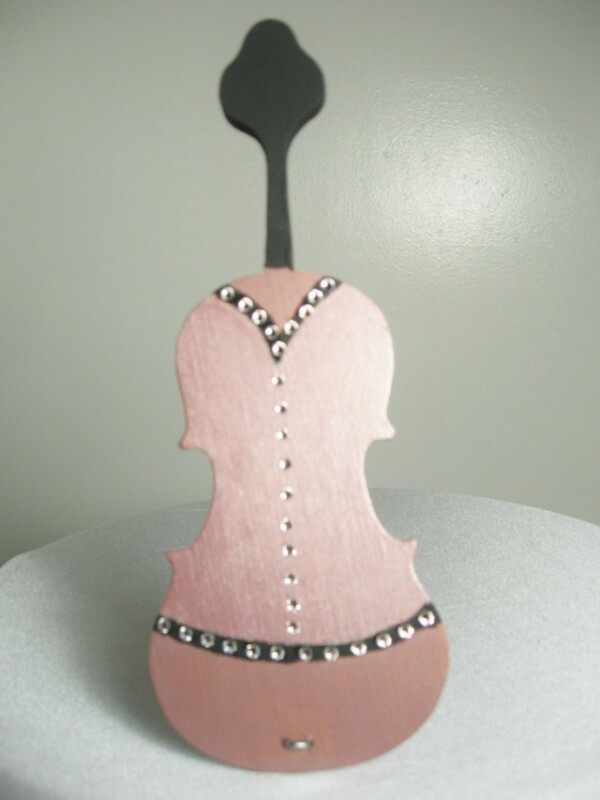 Bling Baby is all dressed up in metallic copper and trimmed with crystal flat backs. 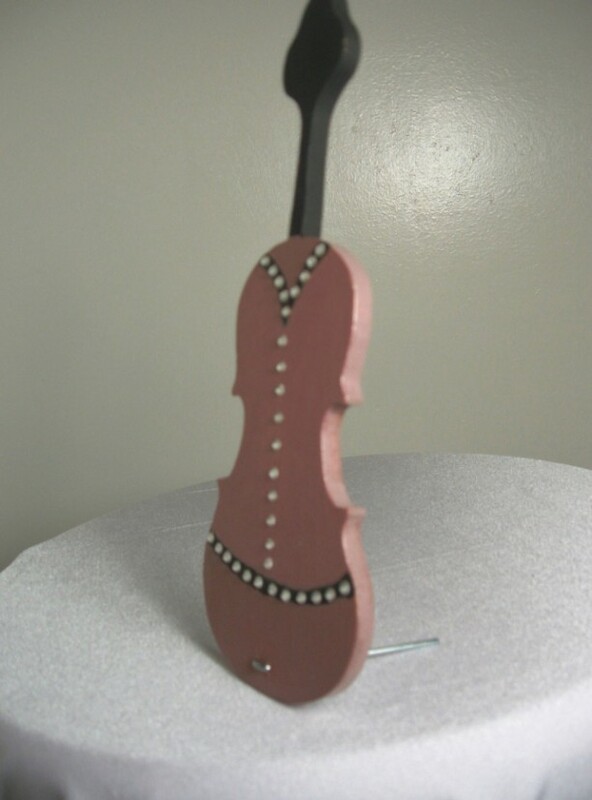 The base is hand painted in two tone copper with a black trim,The neck is painted in black. 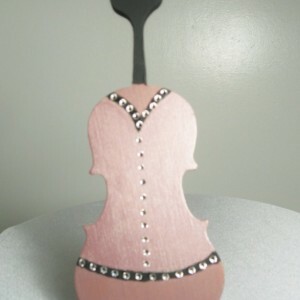 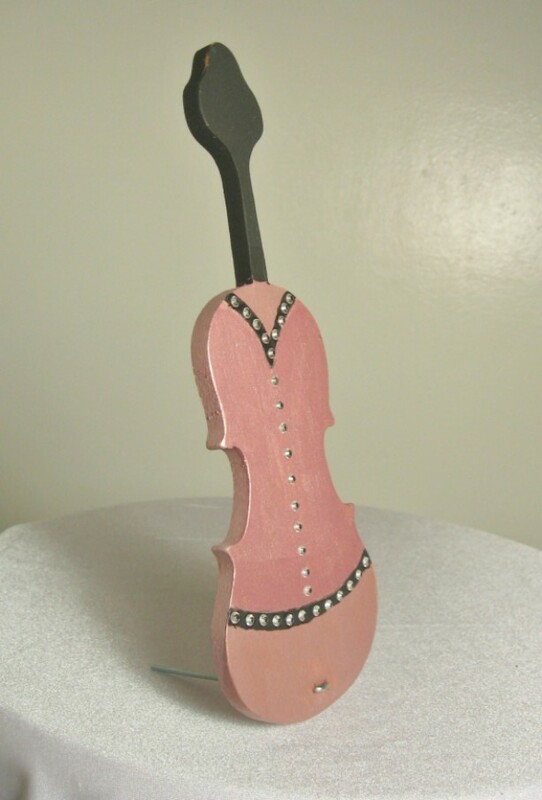 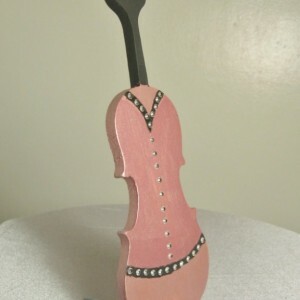 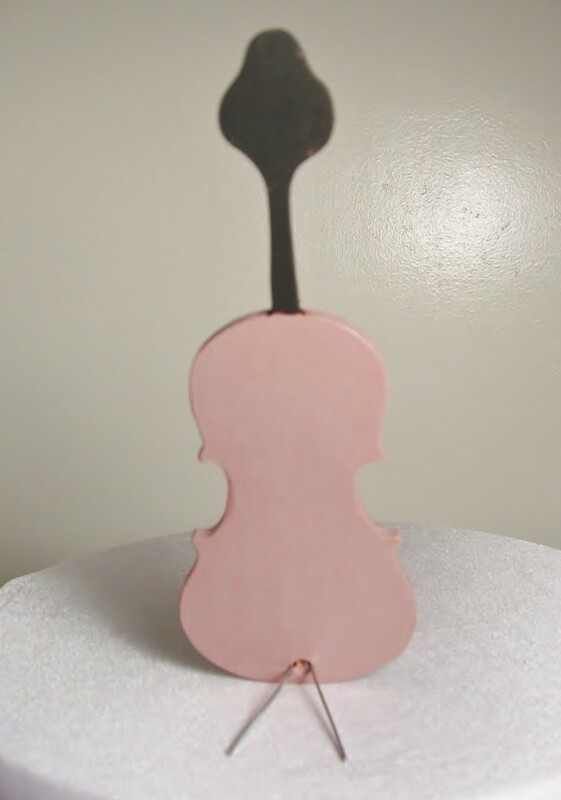 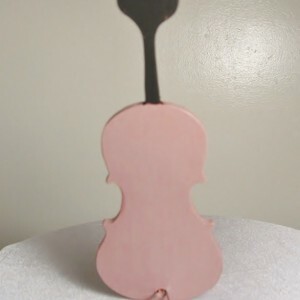 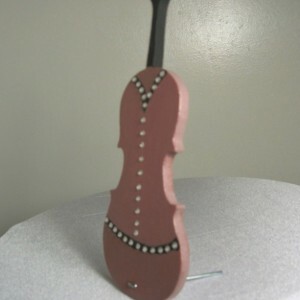 All mini corset violins have a v peg through the base to help them stand. 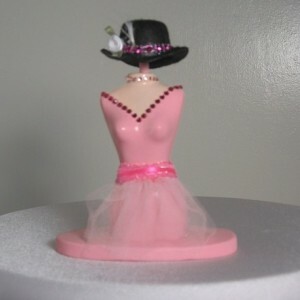 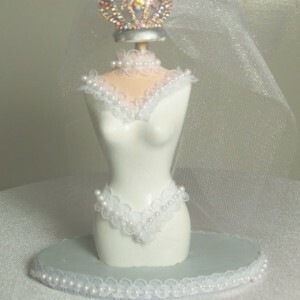 Dimensions: 81/4 " tall Base: 3" wide at top 11/4 " wide at base 3" wide at bottom.